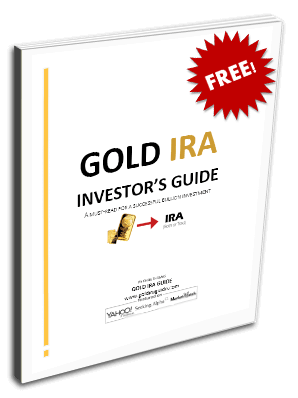 When you set out to buy gold bullion, there are a number of considerations you need to take into account. It is more than just figuring out who to purchase the gold from, though that is a logical starting point. There are considerations such as storage and insurance, offshore storage versus domestic storage, and more to think about. In this article we will consider each of these important issues in turn. There are so many important things you need to contemplate when purchasing gold initially. It is much harder the first time as you do not know who to buy from and what to beware of in the process. It starts with buying from a reputable dealer. This may sound like it goes without saying, but many innocent would-be customers have been taken in by some of the bad apples in the bullion and coin dealer universe who saw the newbies coming from a proverbial mile away. In fact the majority of bullion dealers on the Internet are reputable, but there are a couple of them, a very few, who many coin enthusiasts would not put in the honest category. This does not mean that they will steal your money and run to the Cayman Islands with it. It simply means that they may selfishly steer you into rare or collectible coin products for which they can charge far higher commissions than they can on bullion products. “Let the buyer beware” is still good advice in this regard, thousands of years after the imperial Romans coined the phrase in Latin. We do not advise purchasing from these types of dealers, regardless of how appealing they may make their bullion gold products look online or in a catalog even. Another thing you must be aware of is that your final price for the bullion coins or bars is often not the true final price. Very few dealers, legitimate or otherwise, will include the often-times considerable shipping and insurance costs in your subtotal. This can amount to another four to five percent on top of what you believed was your total order price too, so be aware and be careful when you are trying to stay within a tight budget. You do not have to keep your gold bullion in your home town bank safe deposit box. In fact, if you live in a country with a sordid history of gold confiscation like the United States, Australia, or Great Britain, it is in your own best interest not to hold it there where there is a historical precedent for political risk concerning gold ownership. This helps to explain why Dubai in the United Arab Emirates is ultimately your best choice for offshore gold storage, even when measured up against such long time heavy weight darlings as Austria and Switzerland.